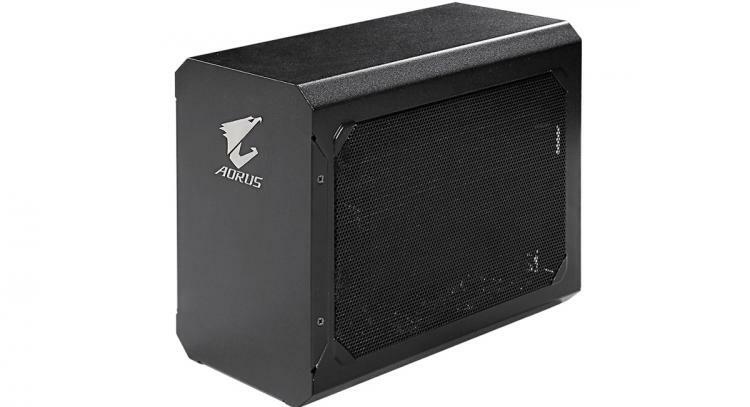 GIGABYTE introduces the AORUS GTX 1070 Gaming Box, an external graphics card solution with a compact design and plug-and-play feature for easy setup and installation. 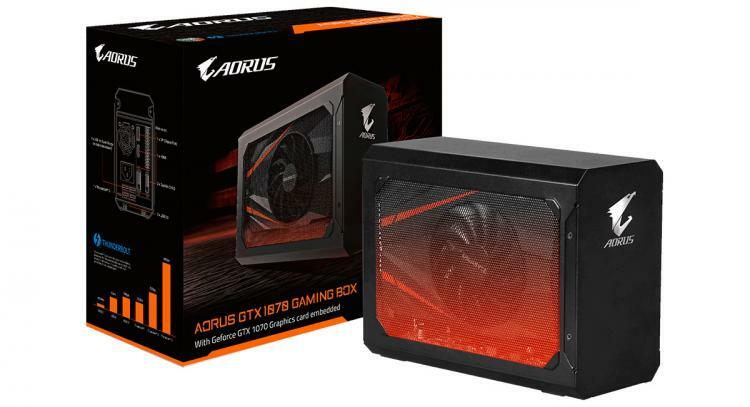 With the AORUS GTX 1070 Gaming Box, transform any notebook to a high-performance gaming machine with the help of the graphics computing power of a discrete NVIDIA GeForce GTX 1070 graphics card through a Thunderbolt 3 port. 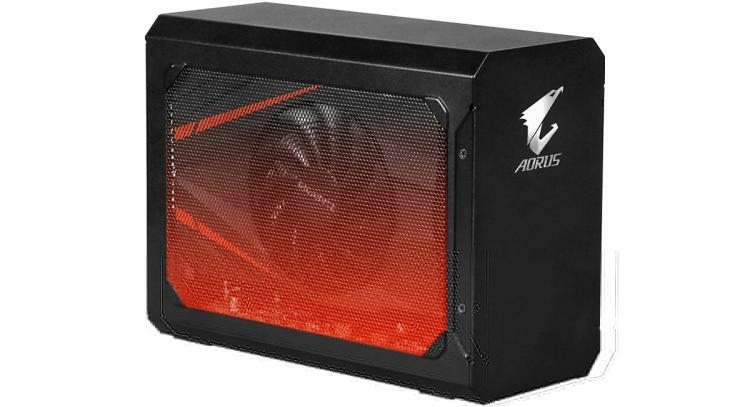 The GIGABYTE AORUS GTX 1070 Gaming Box is conveniently on a small form factor design that minimizes its footprint on your desktop or any for any workstation or gaming setup. It can be easily stored and packed to be tagged along with you to get the added graphics power needed for outdoor use. It also features customizable RGB lighting through the GIGABYTE RGB Fusion software. 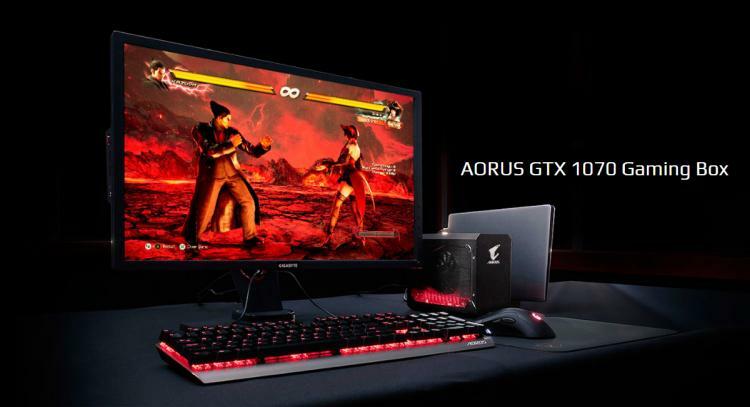 Aside from graphics boost, the AORUS GTX 1070 Gaming Box also works as a docking station offering you more connectivity options and options for multiple displays as well. 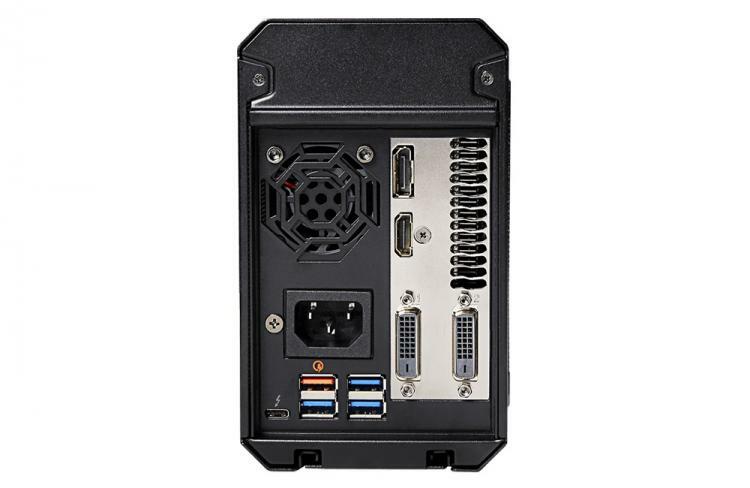 It has multiple display outputs including HDMI, DisplayPort and 2x dual-link DVI ports. There are also three high-speed USB 3.0 Type-A ports available to connect more peripherals, external storage devices and others along with a Quick Charge 3.0 port for charging devices. Visit the GIGABYTE website for more information.